Jupiter in Leo 2014 -15: what will it bring ? Click on the links for detail on the Jupiter 11-12 year cycle, and Jupiter in Leo, the first two articles in this series. This third article explores the 2014-15 journey of Jupiter through the sign of Leo, in relation to the twelve houses of the natal horoscope. What does the Jupiter in Leo year hold? ellisnelson | July 14, 2014 at 1:39 am Jupiter moves to the 9th house for me and I’m looking forward to it! Sounds great! Jupiter in his own house adds an extra ‘woosh!. So – teaching in any sphere, embarking on Higher Ed yourself, long distance travel – and, can it be (??!! ) book promoting and publishing. Enjoy! Ellis is a fine writer; her blog, ellisnelson, is well worth a visit. Here is her credo: Mystical life is the centre of all that I do and all that I think and all that I write. (WB Yeats): I do not know her horoscope, but would expect from what I know of her writing that the planet Jupiter is a powerful influence. You can see from her comment and my reply, in broad brush stroke terms, what that year-long transit of Jupiter in Leo through her Ninth house is likely to bring. In my own case, Jupiter has just moved into the Eleventh house; I am about to begin teaching my first astrology class for over 12 years (a whole Jupiter Cycle ago!). It is a ‘refresher’ class for some students I have taught over a number of years, whose astrology has become ‘rusty’ and needs a polish. Jupiter in Leo is up for the task! The Eleventh House concerns all activity connected to one’s link to the human family, one’s family of origin, and the groups and friendships in which one is involved. So I can expect a year where my wider connections with people grow, develop, and (hopefully!) bring me and those with whom I come into contact some measure of inspiration, broadening of perspectives – and fun. As ever, it is important at the outset of a general article like this to stress that one can only really judge in detail what the essence of any planetary shift is likely to be from consideration of the whole horoscope or birth chart. However, it is certainly possible to sketch out a broad picture here which can offer some perspective: both to readers with some astrological knowledge, and to those of you with little or none who are curious to know more. One of the great gifts of astrological understanding is the help it offers in setting our sails, metaphorically speaking, to the prevailing winds of our lives. So, by considering which house the larger-than-life planet Jupiter is traversing at any given time, we can gain a good general idea of what to expect, and plan accordingly. Jupiter in Leo is theatrical, dramatic and expansive. It needs stimulus, fresh perspectives and challenges, bringing a quality of restless creative energy to whatever house it graces with its benevolent presence. It is also well worth mentioning Leo’s strong link with matters to do with children: your own, or other people’s, eg as a teacher. So, look out for this dimension in whatever house has Leo on the cusp, as Jupiter passes through that sector over the next year. …well, not always! One of the perils of Jupiter’s residence in any house is a tendency to overdo things. It’s important here to point out that the houses, like the signs, operate in complementary opposites, in pairs. Ellis’s Third and Ninth houses are stimulated by Jupiter’s transit of the Ninth. Thus gathering a variety of types of information and experiences (Third) and placing them in the context of the Big Picture (Ninth) on a bigger scale than usual, describes the essence of her Jupiter through Leo year. My Fifth and Eleventh houses are up for challenge and expansion. Thus my creative impulses (Fifth) are focused and directed through sharing learning and new perspectives with the groups and friendship networks (Eleventh) in which I am involved. You’ve already seen how this has begun to work out! If you have an early degrees of Aquarius Ascendant or Rising Sign, then your Descendant or point of significant others is in Leo. Jupiter has just crossed that point and is now traversing the Seventh house, highlighting the First house also. This is the Me (First house ) in relation to You (Seventh house) pair. Thus Jupiter travelling through your Seventh house strongly emphasises your need for challenge, excitement and new developments on the relationship front. I’ve often seen this core meaning express through the branch of clients becoming involved with a new partner from another country and/or culture. Generally speaking, it’s a transit which brings new and growth-enhancing relationships into one’s life. You are also likely to encounter more than one significant new person whose Sun Sign is Leo…But watch it! It can also bring over-optimism: seeing in A.N.Other what you want to see, rather than what is actually there. So – always be aware in considering the impact of transiting Jupiter (or any other planet by transit) through the houses, that the opposite house is also involved, although the ‘weighting’ is always in the house in which Jupiter is its year-long visitor. In fact, quite often it may feel as though the house in which Jupiter is resident draws energy away from its opposite house. For example, Louis, focusing on renovations on the home front (Jupiter transiting 4th House) could feel his inclination towards putting energy into his career (10th House) temporarily diminishing.We will meet him again at the end of this post. Some houses are empty of natal planets (although NOT lacking in importance – this is the subject of another article in itself!) . Others, on the other hand, are tenanted natally by anything from one to several planets. Jupiter swings by your Tenth House for a year, spending some time hanging out with Uranus in Leo. A work colleague takes you along to a seminar on astrology given by a charismatic astrology teacher. You are completely bowled over, spend a year reading everything you can get your hands on concerning this fascinating new subject. Three years later you have changed career again, having gone freelance: guess what the new career is, folks?! Someone else, let’s call him Mark, has four planets in Leo in the Twelfth House. He works very hard as a social worker specialising in welfare rights (Aquarius on the Sixth House cusp). Jupiter enters the Twelfth House, and Mark feels a strong creative pull toward his spiritual life, towards retreat and reflection. He is due some sabbatical leave, so embarks on a three-month retreat in a nearby Buddhist monastery. I hope that this brief exploration of a range of possible means of expression stimulates you to reflect on the House in your horoscope currently tenanted by Jupiter. If you are new to astrology, why not have your chart calculated by one of the reputable services such as Astrodienst, so that you can find out? 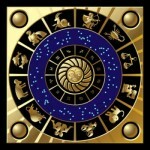 Or better still, go and have an astrology reading with a qualified, experienced and reputable astrologer. Jupiter in Leo is theatrical, dramatic and expansive. It needs stimulus, fresh perspectives and challenges, bringing a quality of restless energy to whatever house it graces with its benevolent presence. I hope you can make the best of the opportunities and challenges which Jupiter may bring into your life in the year ahead. As ever, it would be great to get some feedback, since putting real flesh on the bones of the symbolism is how we all, beginners or experienced astrologers alike, become fluent in our craft. I’d like to conclude the article with some brilliant feedback given to me a few days ago by a friend, who I’ve named Louis. Jupiter entered Leo on 16th July 2014. Louis’s IC, beginning his Fourth House, is at 0 degrees 49 minutes of Leo. The Commonwealth Games began in Glasgow, Scotland, UK on 24th July 2014, just as Jupiter by transit crossed Louis’s IC, beginning a year-long transit of his Fourth House. For the two weeks preceding this major event,Louis and his friends were hard at work renovating and decorating an upstairs flat in Louis’s house in order to let it out for the Commonwealth Games. He first let the flat out on 23rd July, and it was let continuously to three different lots of visitors during the ten days of the Games. In this way, not only did Louis cover the cost of the renovations: he now has a regular source of income which he can draw on by continuing to let out that flat, thereby improving his financial position. Another issue cropped up at exactly the same time, which may well result in Louis having an inheritance or profound gain of some kind – not necessarily material. Jupiter first crosses his Pluto at 16 degrees Leo early in October 2014, again in mid-February 2015, before crossing for a third time and moving on at the end of May/beginning of June 2015. We shall have to wait and see whether this plays out in concrete material terms, or as powerful gain of some other kind. I’ll let you know! In the meantime, if any beginning astrologers are reading this: tell me why I put forward those possible outcomes from Jupiter crossing Pluto in Leo in the Fourth House. Any offers? And – feedback on your experiences of Jupiter in Leo through any of the Houses/over any of the four Angles of your horoscope, is always welcome. (i) from William Blake’s “The Marriage of Heaven and Hell”, one of the “proverbs of Hell”. This entry was posted in Jupiter and its Cycles (5 articles) and tagged horoscope, Jupiter in Leo, Jupiter in Leo 2014 -15:, Jupiter in the Seventh House, the twelve houses of the horoscope, William Blake. Bookmark the permalink. Interesting! It looks like it will be an exciting year. (AFA, USA)] Quite a blast! So – don’t say you haven’t been warned…. BTW- I have Jupiter in the eleventh house at 11 deg. 43 min. of Capricorn. Thanks for this, Ellis, which gives me an opportunity to mention something I didn’t cover in this article ( you can’t cover everything in a short-ish piece…) . When you are reflecting on where Jupiter is transiting NOW – in your case, your Ninth house – it is important to start off by noting where Jupiter is natally; it will bring the qualities and preoccupations of its natal house placement TO its action in the house being currently traversed. So – the Eleventh house, home of your natal Jupiter, concerns all activity connected to one’s link to the human family, one’s family of origin, and the groups and friendships in which one is involved. Thus gathering a variety of types of information and experiences (Third) and placing them in the context of the Big Picture (Ninth) on a bigger scale than usual, describes the essence of your Jupiter through Leo year. But the backdrop to all that activity will be set in an Eleventh house context: so you can expect a great deal of new networking and making Big Picture connections with a stimulating range of hitherto unknown people. Our very recent connection is an example of that: your interview in TreeHouse, which I Liked, took TreeHouse through to me as a result of which I was interviewed by them. And we had both reviewed each other’s books, prior to that! And the Leo flavour? Well, I have several Leo planets…. Also in your case there is likely to be both Higher Ed achievement and travel of a physical and/or spiritual nature, involving your own family and the larger human family, during this time. Keep a bag packed! Yeah, I like the idea of connections and the internet does connect us up in ways that were never before possible. I will have a new “home” with a new publisher in 2014/15. Also, I will potentially be looking for a new spiritual group as Gnosis is not quite resonating with me. The part about travel is puzzling because I don’t see it. Our big trip overseas is likely to come next fall when Jupiter is in my 10th. The only travel we’re likely to take in the next year would concern funerals (that’s pretty likely). That does involve family, travel, and the spiritual in one fell swoop. Not the best of circumstances though. Hello Ellis, many thanks for the feedbacK! I should have said, in mentioning travelling as a likely branch from the Jupiter/Leo/ 9th House “root”, that the travelling strongly suggested in that branch in your case, can be outer and physical – or inner and metaphysical. The latter certainly applies to “I will potentially be looking for a new spiritual group…” Because astrological symbols or archetypes are what Jung called “psychoid”, their energies can manifest along a continuum from concrete manifestation in the physical world to purely inner manifestation, bringing profound challenges and changes which are not visible in material form. But all branches can be traced back to their core root. This is why it’s always best as an astrology teacher/practitioner to get across the idea that from any archetypal symbol many branches grow, and teach first about the essence. Then the fascination of people’s actual lives takes over, when clients can and do bring a range of differing expressions of the same core energy. With experience and study, one can surmise, often accurately, what some of the branches may be. eg your being a writer makes it easy for me to surmise that your Jupiter transit through the Ninth house is pretty likely to involve developments on the publishing front! Thanks once again for giving me an opportunity via your comment, for developing an issue which needed to be opened out. The next time I mention travelling in relation to Jupiter, I will make sure to talk about ‘travelling either at an inner or an outer level..’..! I’m pretty stoked about Jupiter entering Leo as my Asc is 3 degrees Leo, and my Sun is at 29 Cancer. It’s hitting all my good spots right now. And life is truly very good. I take it that the house sale/move is now settled as Jupiter changes his focus? sorry, I somehow missed this comment but Jupiter is exactly on my Mercury today as I spot it! Yes, I can see why your imagination is running amok…..how about you are digging a deep hole in your garden and find a stash of 18th century gold coins worth a fortune? I am new to this blog and have been catching up on reading older posts. I would like to add some feedback on my experience with Jupiter in Leo. My natal Jupiter is in Capricorn, retrograde in the 11th house. Jupiter is currently transiting my 6th house. I have been working three flexible “part-time” jobs this last year and have had a lot of practice in creative scheduling of my days, prioritizing and becoming more efficient. Last fall I was putting in an incredible number of hours per week, averaging 65-70, but I had plenty of energy and didn’t see any reason to slow down. I think the sextile between transiting Jupiter and my natal Mars in Gemini fed into this. My work schedule slowed down a little around the holidays (before burnout) and I have recently received a promotion in one job and my work territory in another is being restructured, giving me more hours and the opportunity for more walking between accounts in my workday. I work as a gourmet food demonstrator three days a week and this job has seemed more like a performance these last nine months …hard work, but so fun! During this time period transiting Jupiter has also been dancing over my Venus/Pluto conjunction in Leo in the sixth. I have been a serious student of astrology at different intervals in my life and I think this transit is part of my current resurgent interest. I have recently been organizing my time and structure, literally dusting off the astrology books, clearing the desk, and reading more astrology blogs as a part of my daily routine. I am also enjoying sharing my new insights with my daughter and friends, and embracing new networking opportunities (i.e. this is my first blog entry … ever). Thank you Anne for your comments and encouragement. After reading your wonderful and thought-provoking article “What is the Jupiter Cycle?” I am in the process of analyzing my five Jupiter cycles (and I have also assigned “homework worksheets” to a couple of my friends to do the same!) I was reminded yesterday of Kierkegaard’s quote: “Life can only be understood backwards, but it must be lived forwards.” So true!